The victory of Muhammadu Buhari in Nigeria’s Presidential elections, announced yesterday, signals an outstanding reversal for a man who had come up short 3 times previously. African democracies, in general, are yet to perfect the art of regularly changing presidents. In Nigeria, before yesterday, no incumbent had ever failed to gain re-election, and given the patronage made possible through the structure of the Nigerian petro-state, and 16 years of dominance at all political levels, unseating the PDP was always going to be a huge task. Nigeria’s political history has always stacked one national party against 2 or 3 smaller ones, making it near-impossible to lose the centre once there. A number of attempts to unite the opposition, most recently on the eve of the 2011 elections, failed. However, the much needed merger finally happened over the period spanning the end of 2013 and the start of 2014, giving the opposition enough time for an assault on the Presidency. French sociologist (Maurice) Duverger’s Law asserts that in a system where the winner of an election is the one with the most votes, things eventually boil down to a 2 party state. Nigeria’s opposition parties realised that without a merger, they could never hope to challenge the PDP. One of the principal architects of this merger was Bola Tinubu, former governor of Lagos State. Only Tinubu retained his governorship seat in Lagos after the 2003 elections, when his colleagues in the Alliance for Democracy party in the South West were swept out of office. He then set about building his own political empire, with Lagos as its base. This became the platform on which he would later mount a national challenge, together with other governors who left the ruling party, most prominently Rabiu Kwankwaso from Kano and Rotimi Amaechi from Rivers State. By the time the elections came round, the APC had 14 governors, and given the influence of the governors (see my previous) over local political structures, it put certain states firmly in play. After the disaster that was the 2007 elections, a person like Attahiru Jega was needed to restore credibility to the electoral process. At every public statement and appearance, the native of Kebbi State radiated a calm and authority under pressure. He had to demonstrate this calm when, in one of the most dramatic moments ever on live Nigerian television, a former minister Godsday Orubebe – the PDP representative for the final phase of the collation process – began to accuse the INEC chairman of bias against the ruling party, calling him a “tribalist”. Jega handled that episode expertly, stating that Orubebe should make his complaints through the appropriate channels (this not being them), and his conduct has restored faith in the political process. There were, of course, some lapses. The production and distribution of PVCs was very problematic. In states like Ogun, a few hundred thousand people did not get theirs. The Continuous Voter Registration exercise was also poorly executed, failing to capture everyone who wanted to be registered. On Election Day itself, polling centre agents arrived late in many parts of the country, which meant that the voting process carried on overnight in some places. Some who got their PVCs had also changed addresses, and due to movement restrictions on Election Day, could not get to polling centres. The collation of results was similarly a stop-start process drawn out over two days, while unofficial results had already begun to make the rounds, leaving space for both major parties to push their narratives in the media. 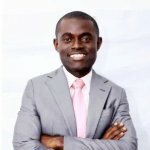 That said, the sanitisation of the voter register to remove multiple registrations, and the use of the Permanent Voter Cards (PVCs) and card readers, saved the credibility of the elections by preventing the inflation of turnout figures and mass thumb printing of ballots common in the South East and South South. Average turnout in the South East was 40.73%, compared with 65.8% in 2011. In the South-South, turnout declined from 68% to 59%. While the percentages for Jonathan were broadly the same, the decline in turnout figures removed one of the major planks on which his 2011 victory was built. Jonathan’s shoddy handling of the Boko Haram insurgency is a key reason for his loss of support in the North, and not even the late rally against the terrorists in the last 6 weeks did much to change the perception that he had ignored the problem until it became an electoral liability for him. This is not surprising. So far, the insurgency has cost 15,000 lives, 3 million people displaced and hundreds in captivity. The President took far too long to prioritise the fight against Boko Haram and he paid dearly for it. His vote count in the North East dropped from 1,832,622 to fewer than 800,000, winning the bulk of these in Adamawa and Taraba; states with significant Christian populations. In Buhari’s North West stronghold, the decline in Jonathan’s electability was even more dramatic. 2011 saw Jonathan get 32.13% and 3,395,724 votes, but in this cycle, it fell to 15.75% and just 1,339,709 votes. Even the North Central region, which has a roughly even split of Christians and Muslims, went the way of the APC. It is here that the extent of electoral goodwill the incumbent lost becomes truly apparent. PDP’s share of the votes fell from 61.32% to 40.63%, and even in Benue, a state known for serious tensions between the Tiv and the Fulani (Buhari’s tribe) the PDP lost. From winning 4 of 6 geopolitical zones in 2011 (with a decent showing in the other 2), Jonathan won just 2 out of 6 zones this time around, with his support shrinking everywhere else. From any angle you look at it, this was an outstanding turnaround. By their very nature, re-election campaigns are a referendum on the incumbent’s record, hence the adage that opposition parties do not win elections, but rather it is incumbents that lose them. As such, the verdict of the electorate could not be clearer. Having received a strong mandate, Jonathan proceeded to fritter it away on issues like a proposal for a single term of 6 years and a badly-handled public debate over the removal of fuel subsidies, which culminated in Occupy Nigeria. As scandal after scandal came to light without any decisive action, and Boko Haram escalated its activities, Jonathan came to be viewed as being soft on corruption and security, which made a Buhari presidency much more appealing. When you add a flailing economy to the mix, the discontent was there to be tapped. Jonathan tried to weaken the powerful Governors’ Forum by replacing the popular Rotimi Amaechi with a more pliable Jonah Jang. It backfired, and ultimately Amaechi and a few others left the PDP to join the APC. Amaechi eventually became the Director-General of the Buhari campaign. Jonathan’s emergence in 2011 did indeed upset the informal North-South rotation, but it was the poor management of influential figures within his party that led to the problems. Analysts realised that there was a high likelihood for a change in government, but expressed fears about what would follow in the event of a loss by Jonathan, fearing violence. As of this moment, it appears those fears were unfounded, as Jonathan is confirmed to have called Buhari and conceded defeat. This step may seem obvious to people living in democracies in the West, but is sufficiently rare on the African continent to attract commendation, especially given the language that characterised the campaign. It now appears that Nigeria is going to join a small group of African countries who have replaced incumbent presidents through a free, fair, and credible democratic process. As the continent’s largest economy and most populous country, it can serve as an example and an inspiration, especially if it leads to political and economic reforms. Richard Dowden was correct when he called this election the most important event of the decade for Africa, and it will remain to the credit of the key players, if it is a moment that is remembered solely for the fact that the voice of the people was heard through the ballot box. One of the most important steps to be taken now is to strengthen the capacity of the electoral commission to continue to ensure that people can trust the process by which they select their leaders. Democracy does not guarantee good leaders by any means, but it means that when people desire a change, that they can affect it without rancour. The INEC Chairman was also very wise to announce the cumulative results of each state as they came in. This precluded the manipulation of the final numbers by certain security persons. Notwithstanding this ‘perfect’ civic electoral governance transfer ‘storm’; the social civic ‘publics’ issue of ordinal salience will be in that in how the new Nigerian Leadership Cadre will handle the most inordinate civic civil economic social expectations now expressed by many of the citizens of Nigeria. Economic Social Expectations unfulfilled is indeed a prescription for future potential civic social roiling. President Elect Buhari must articulate an economic social civic vision grounded within an ethos of virtue as well as being practical in implementation. Civic Good Will ought to be encouraged and when engaging in a conversation with the Nigerian people the President must be both sincere and realistic which must entail no free rent seeking acolyte participation in governance. Splitting South Sudan into 28 states: right move, wrong time?